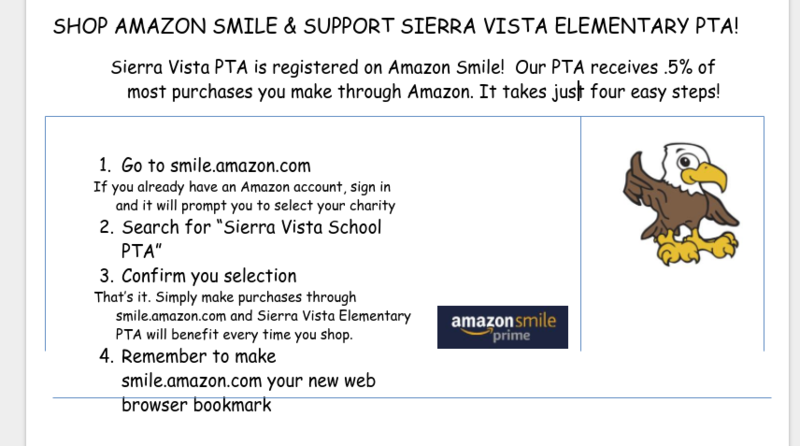 Step-It-Up Fall Fundraiser will be announced in September! We look forward to our Day of Awesomeness! 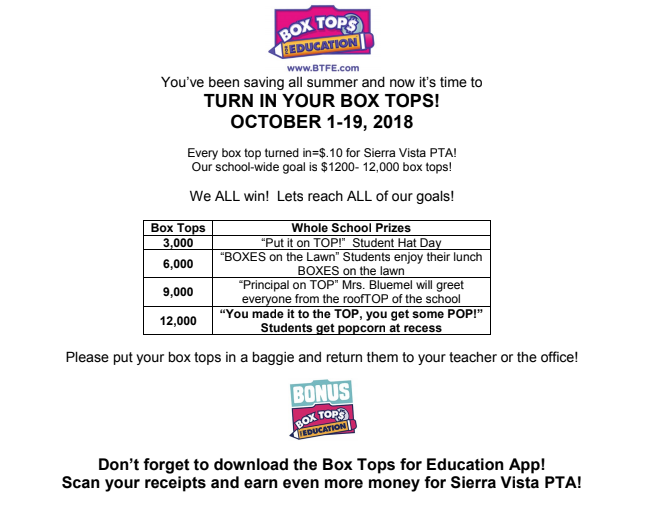 Don't forget to ask your friends, family and neighbors to clip Box Tops to raise money for Sierra Vista. 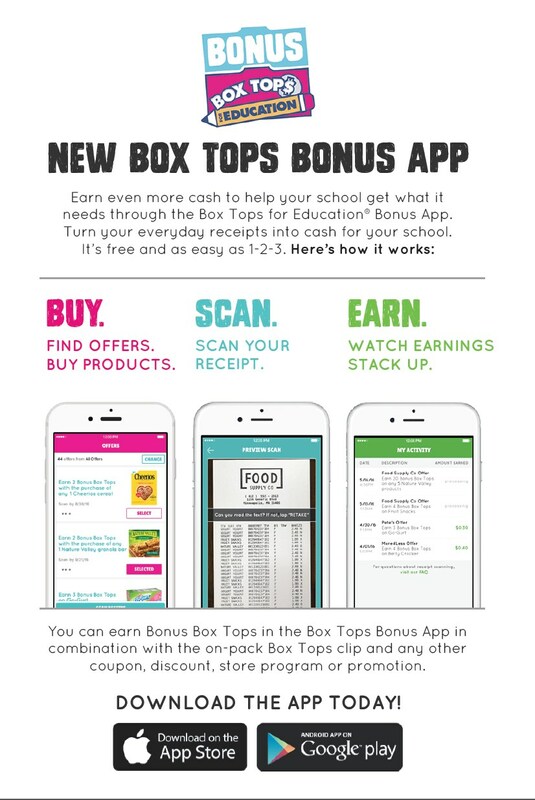 For a complete list of participating Box Top products, click HERE! and simply cut and drop Box Tops all year long! !